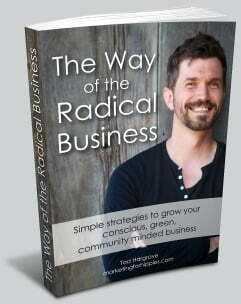 If there is a missing ingredient to success in business it’s not know-how, it’s hustle. It’s the ability to get busy and make things happen. It’s not having more resources, it’s resourcefulness. When people are driven and committed they so often find a way to make things work while those who aren’t committed find a lot of excuses (which they will list as ‘reasons it didn’t work’). This may not seem like a very hippy idea. It’s not a very ‘go with the flow, man’ idea. But, real talk, The Grateful Dead had hustle. 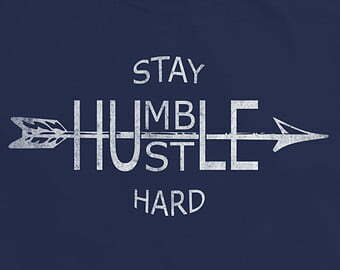 Hustle is what allowed me to start The Jams project, The Local Good, the Edmonton Secret Streetcars Shows, Indigo Drinks, Green Drinks Edmonton, The Nova Scotia Gaels Jam and other projects. In the fall, my friends and I are launching a project in Edmonton called The Social Yogi (basically, we’ll be hosting a monthly social event for local yogis). Last year, I found a local fellow to take on organizing it. He was excited. And I gave him literally everything he needed to make it work. He had all of the resources he needed. And yet he bailed on or no showed our first three meetings. I told him it was over. But, he took that feedback so well that I decided to give him one more chance. We had a great meeting and then, when we didn’t get an enthusiastic response from Edmonton’s busiest local, young yoga hubs, he bailed on the project entirely because he didn’t want to do it alone. Did it cross his mind that other people might have been interested? Or that, as the local hubs told me, that they were just extraordinarily busy and had been waiting for him to actually do something? I don’t know. But I do know that he didn’t lack a cool idea, a website, a mentor, a plan, a clear niche, a lack of money … any of that. To be clear: I’m not saying he should have hustled or even wanted to. I’m not saying him walking away was wrong or an aspersion on his character. He’s a very fine fellow. But, for whatever reason, the hustle vanished. And when the capacity to hustle goes, the success of your enterprise isn’t far behind it. When people have hustle, they make incredible things happen on a shoestring. And I wish I knew how to teach hustle or impart it into people.